John Stamos is taking care of some business before he welcomes his first child — like hosting a mini-reunion of his old coworkers. He already sees his Full House castmates on a regular basis while they’re filming Fuller House, but what about his old costars from ER, the soap that gave him his start? It turns out they all decided to pay Stamos a little catch-up visit over the weekend, and Stamos, of course, captured the photographic evidence so we could all revel in the nostalgia a little bit. Goran Visnjic, Maura Tierney, Scott Grimes and Linda Cardellini all stopped by, and they got together with Stamos to snap a group pic behind the County General doors, a prop from the set that Stamos has apparently kept for all these years. Who knew he was such a sap? The old gang looks like they’re having a blast being back together again, and it’s great that Stamos is getting in face time with his old friends before the baby comes and his life gets way more hectic. Stamos and his fiancée, Caitlin McHugh, are expecting their first child together sometime this spring, realizing a lifelong dream of Stamos’. 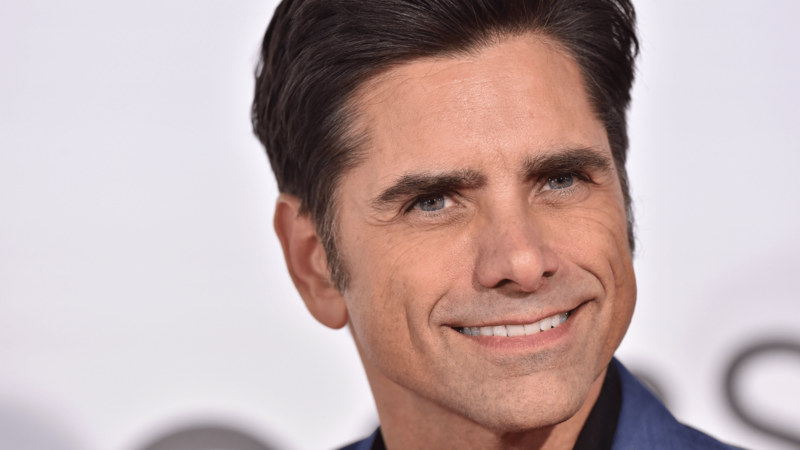 So many happy things going on in Stamos’ life right now! We’re just glad he’s sharing them with all of us.